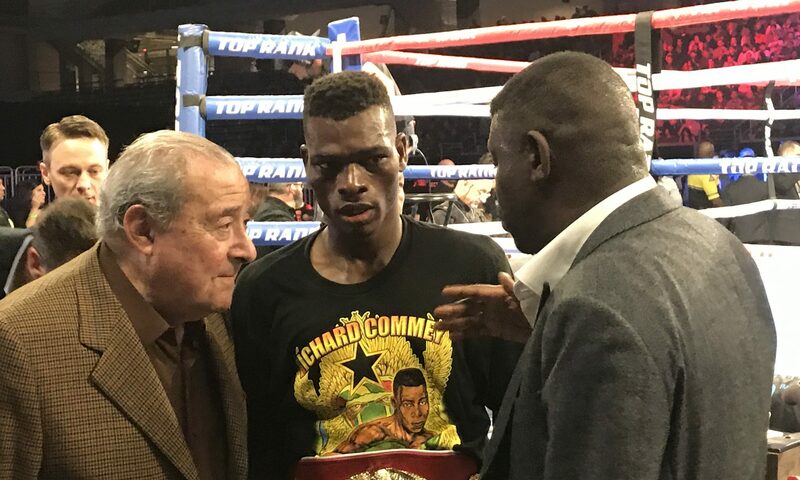 Richard Commey might have put himself at the front of every fight fans list of dream match ups for WBA and WBO lightweight champion Vasyl Lomachenko after his brutal stoppage of Isa Chaniev in Frisco, Texas tonight but those dreams may have to be put on hold. 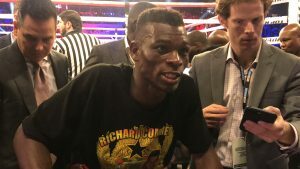 Commey admitted to reporters at ringside that he may have injured his right hand in the first round. When asked if he would be able to fight Lomachenko in April Commey couldn’t confirm that he would be available to fight The Matrix that quickly. Commey added that his hand wasn’t swollen but that he “felt something pop” in his hand.